The traditional Build and Price tool is a consumer’s dream come true. It’s the ideal way to quickly and easily piece together a vehicle that meets their needs. Build and Price tools are featured prominently on all manufacturer sites because they are so effective at driving in quality leads and engaging website visitors. Build & Price LGE is available in three colour themes to match your site design. 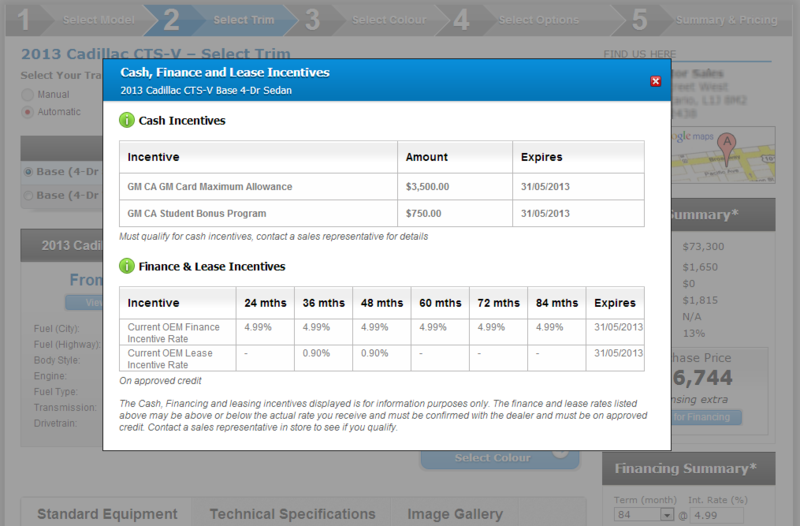 Click the “View Incentives” button to display current OEM Cash, Finance, and Lease incentives. 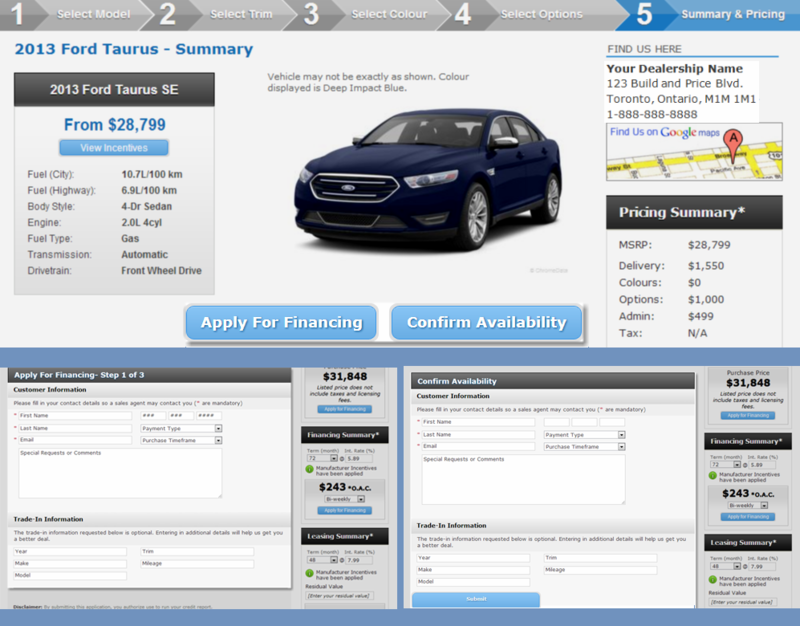 Compelling calls to action “Apply for Finance” and “Check Availability” maximize form fill conversions. 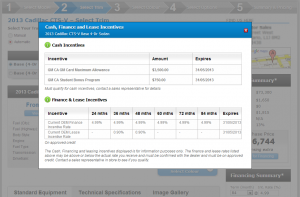 Funnel your conversions into PowerUp or any CRM for easy lead management. 1. 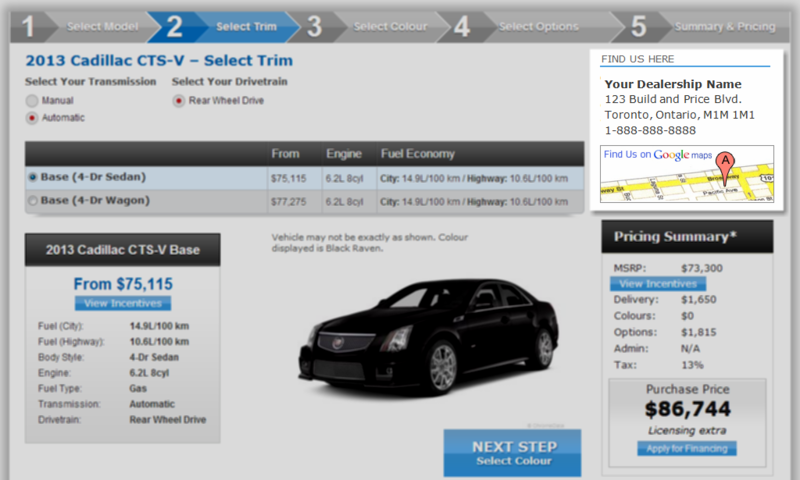 Email sales@edealer.ca to be first in line for upgrade or additional info on the new features. This entry was posted in Dealer Resources, New Product Development and tagged Build & Price LGE, Dealer Resources, New Feature Release, Peter Meades by admin. Bookmark the permalink.